Use this tool to remove the Oyster watch strap from the watch head so that it can be cleaned, or changed for a NATO or RubberB/Everest watch strap. Be sure to get a good Springbar tool as the cheap ones found on the Internet tips become dull quickly. A Bergeon springbar tool with the Fine Forks (FF) fits Rolex springbars well. Use the springbar tool to make micro-adjustments under the bracelet clasp. Rolex uses 1.6mm (160) screws. It is important to use a screwdriver to check the Oyster link screws to ensure that they are tight. Also, to remove/add links without having to visit the watchmaker. Be sure to get a screwdriver that has a flat edge at the end. Pointed ended screwdrivers will not sit flush on the bottom of the screw which creates slop in the fit. This greatly increases the chance of the screw head getting buggered-up. 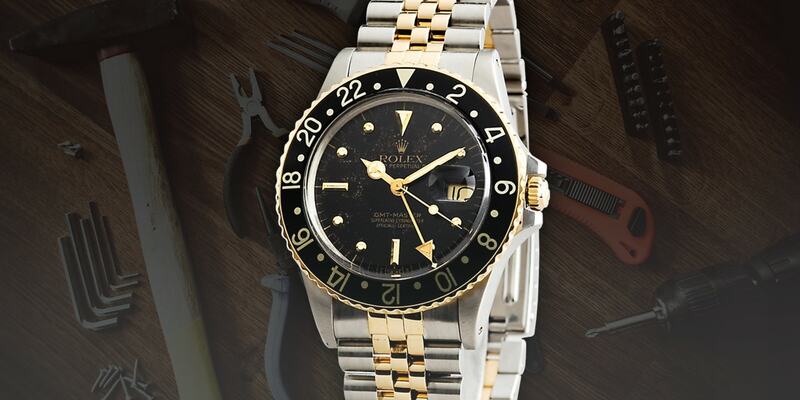 The best screwdriver for Rolex is the Rolex reference 2100 screwdriver included with the Rolex Sea Dweller. Both the watch and the screwdriver kit are not available from Rolex anymore. However, there are plenty available on the Internet. The Rolex Ref. 2100 screwdriver has a flat end, fits oyster link screws precisely, and it includes a pin tool for old style springbar removal or for clasp adjustments, and a spare link screw is included inside the tool. Purchasing this screwdriver is worth the investment and will last the life of the watch. This is specially formulated for cleaning watches and makes them look like they just came out of the box (minus the scratches). Veraet is inexpensive and is worth keeping in your watch kit. Even though Rolex does include a cotton/suede like cleaning cloth in all their watch boxes, there are other options as well. Rolex wearers use anything from an old t-shirt or bathroom towel to fine silk for wiping down their watches. Most of the watch cognoscenti use either a microfiber cloth or suede for cleaning their watches. Both Veraet as well as Googalie make cleaning cloths that work very well for removing smudges, gick, and normal grime that dulls a watch finish. A good microfiber or suede cleaning cloth matched with Veraet will make any watch look like it was just out of the display box. When not wearing your Rolex, it’s important to have some type of watch case. This is important to prevent scratching the caseback and crystal while it tosses around with the car keys. 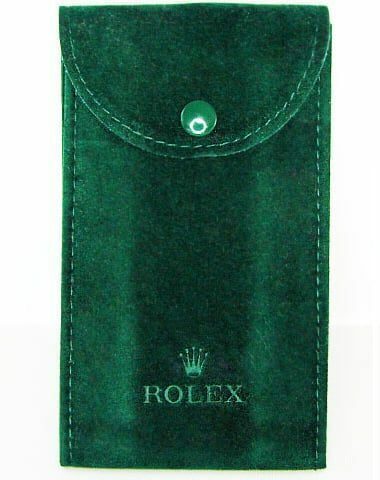 As a result, a Rolex Pouch like this one from Beckertime is good Rolex tool to have in your watch kit. These pouches prevent the watch from being scratched and dinged while in your luggage, pocket, or travel bag.